After a hearty game of Pac-Man played with a standard $9.95 Atari joystick, your index finger can look significantly older than the rest of your body. 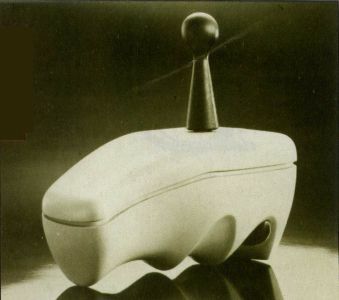 The Atari joystick is functional, but hardly developed for the human hand. Wico has introduced a new joystick which solves Starglider wrist and Dungeon Master elbow. The Ergostick is a new design in joysticks that makes use of a soft, pliable plastic that is formfit to the human hand. The top portion of the joystick uses a stiff plastic to give structure to the stick that extends upwards from the center of the joystick. The Ergostick works well for left- or right-handed game players, as the trigger, or fire button, is conveniently located to the left and right of the index finger position. The Wico Ergostick has a moderate $19.95 list price and is now available at your local toy store and computer outlet. The Ergostick is a new design in joysticks that makes use of a soft, pliable plastic that is formfit to the human hand.